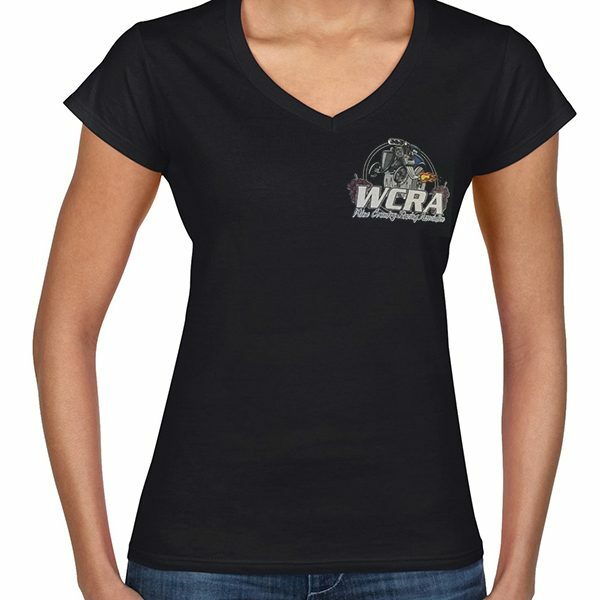 This Gildan Lady’s V-Neck Soft Style t-shirt will have you looking stylish at the Races. Note: This fits on the small side, and will work great for youths or petite women. 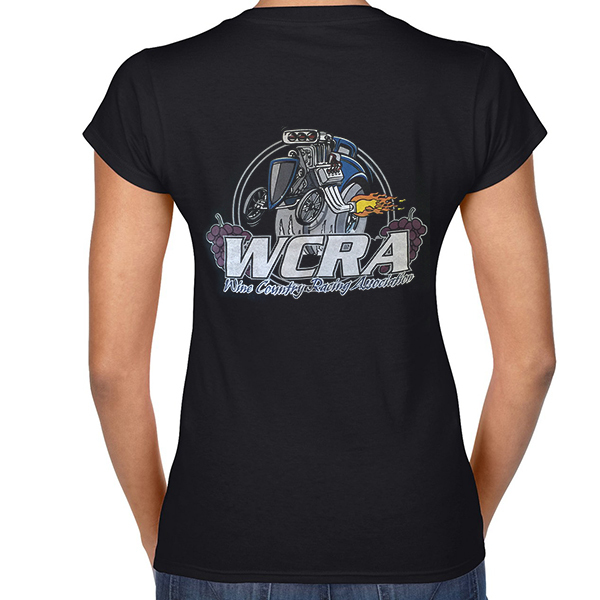 Average women may want to consider the men’s t-shirt.